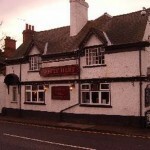 Trying to find pubs in Leicestershire? You’ve come to the right place. We’ve got every pub and bar in the UK listed. 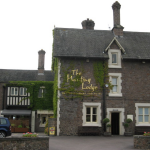 Whether you’re looking for a pub or bar in Leicestershire to play darts, somewhere to play pool or just want to have a look at a menu before you go, we can help. Traditional canal side village pub. Waterside Inn in Mountsorrel serves food. The Swan Inn freehouse is a traditional 17th century inn on the banks of the River Soar, in the village of Mountsorrel, Leicestershire. 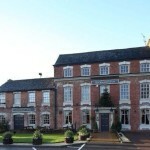 Situated in the charismatic village of Barrow Upon Soar The Hunting Lodge has something for everybody all year round. 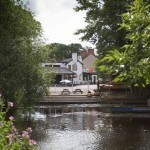 Set on the banks of the River Soar Navigation a recognised Leicestershire Beauty Spot. Three Crowns in Barrow upon Soar has a beer garden. The pub has a car park, it serves food. Three Crowns has an outside area. The pub serves real ale, it shows football on TV. 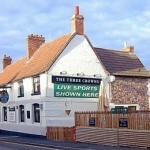 Three Crowns has Sky Sports. The pub has terrestrial TV. Apple Tree in Quorn has a beer garden. The pub has a car park, it has disabled facilities. Apple Tree gives a warm welcome to dogs and their owners. The pub is a family friendly pub, it serves food. Apple Tree has an outside area. The pub serves real ale, it has a real fire. Apple Tree has free WiFi. The pub has a dart board, it has a big screen. Apple Tree shows football on TV. The pub has terrestrial TV, it is a member of Cask Marque. 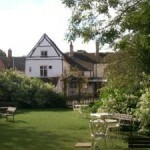 Blacksmith Arms in Quorn has a beer garden. The pub has a car park, it has disabled facilities. Blacksmith Arms is a family friendly pub. The pub serves food, it has an outside area. Blacksmith Arms serves real ale. The pub has a real fire, it is a member of Cask Marque. 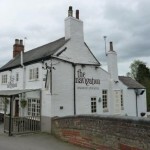 White Hart Inn in Quorn serves food. The pub has an outside area, it serves real ale. White Hart Inn is a member of Cask Marque. Horse & Trumpet in Sileby has a beer garden. The pub has a car park, it is a family friendly pub. Horse & Trumpet serves food. The pub has an outside area, it serves real ale. Horse & Trumpet has a real fire. Quorndon Fox in Quorn has a beer garden. The pub has a car park, it has disabled facilities. Quorndon Fox is a family friendly pub. The pub serves food, it has an outside area. Quorndon Fox serves real ale. The pub has a real fire, it has free WiFi. Quorndon Fox is a member of Cask Marque.